Our Health and Wellbeing Complementary Therapies are available on limited days at the salon. Aromatherapy treatments are based on using the therapeutic properties of essential oils, from plants and flowers, to relieve the symptoms of today’s hectic lifestyle. Perfect for easing stress and anxiety, reducing muscle tension and joint pains, aiding sleep, helping control migraine and headaches and generally promoting a sense of well being. Starting with a consultation our practitioner will blend selected oils, designed for you, which are massaged into the skin where they enter the blood stream and are transported around the body. Essential oils can be relaxing, uplifting, calming or energising, and work on both a physical and emotional level. Excellent for relieving head, neck and shoulder tension. 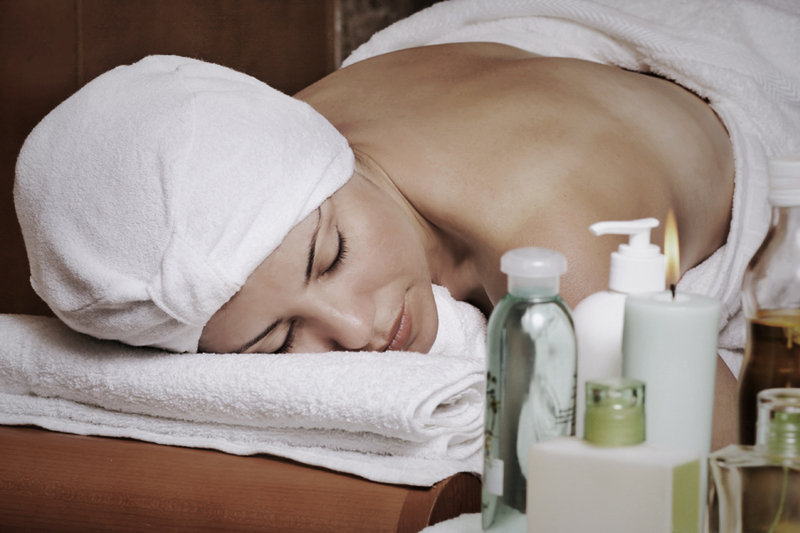 The neck and shoulders are massaged, followed by a reviving scalp massage to improve circulation and relax you. The session finishes with a soothing face massage using pressure points and drainage techniques to help ease headaches, puffy eyes and sinus problems. This treatment is unsuitable for clients with hair extensions. A form of Chinese healing. Pressure is applied to certain points on the body to relieve pain. There are many different points in the body, known as ‘meridians’, which carry energy throughout the body. The Practitioner uses hands in a specific sequence of movements to stimulate these points – no needles are involved. This therapy uses the benefits of massage whilst stimulating the acupressure points along the spine. It target the neck, shoulders and back where you need it most, helping those tight muscles to loosen up. Great for relieving general stress, anxiety, backache and tension, it can also help insomnia. Massage is the manipulation of the soft tissues of the body and has been used for thousands of years as a healing therapy. A full body massage can help to improve muscle tone and skin appearance. Using Swedish and Neuromuscular techniques, muscular tension is relieved and increased blood and lymphatic flow encourages a healthy circulation. Feel good, relaxed and invigorated. The practitioner will work on the areas of your concern to ease away your aches and pains. A bespoke therapy mix designed for you as an individual, which varies with each visit as your body changes. Precise targeting, with appropriate movements and essential oils, gives maximum therapeutic benefit together with simple pleasure and enjoyment. This Health Care Therapy is suitable for anyone regardless of their medical condition or medication. Where appropriate we liaise with your Health Care Team. Personal training and advise on gentle therapeutic exercise movements for anyone affected by a chronic illness such as ME, MS, Fibromyalgia, Arthritis, Parkinson’s disease or Cancer. Helps reduce pain, increases energy, and boosts well being and self-image. You will be given your individual programme of flowing movements designed to increase stamina, concentration and body alignment. The exercise movements are based on slow and gentle stretching and are medically approved and monitored. The sessions can also help those who “lack energy” and need a motivation to exercise. Our Health Care Practitioner also works very closely with people who suffer with Chronic Fatigue Syndrome, Multiple Sclerosis, Lupus and Parkinson’s disease. These Lebed Method exercises can also help this group manage their chronic pain. It can help reduce or prevent Lymphoedema following surgery and is the perfect workout after physiotherapy. An ancient healing therapy based on the principle that there are reflex areas in the feet and hands, which relate to all the glands, organs and parts of the body. Reflexology is a complementary therapy recognised and widely use by the Health Care sector. Referred to as “energy healing” it can ease a number of physical and emotional symptoms. Although Reiki is a gentle energy it can have very deep and lasting effects. Reiki promotes relaxation and can reduce stress. It can also strengthen the immune system and help you to feel balanced and whole. You remain fully clothed and will only feel a light touch. The session includes relaxation time to help the body regain balance. The therapy is pleasant and completely painless. It uses local heat application and is suitable for all ages, including children. A very gentle “structured touch technique”, developed by a British Critical Care nurse, which involves a series of stroking movements performed in a set sequence at a set pace and pressure. Being much lighter and more soothing than conventional massage it is suitable for all clients including those who cannot take the pressure of a standard massage, or for those with frail skin. The session includes relaxation time to help the body regain balance. It can be a comforting therapy for critically ill where conventional massage is inappropriate.